After being mired in a heated political fight just years ago, the first major piece of the Garrison Crossing bridge will be hoisted into place early Saturday morning. 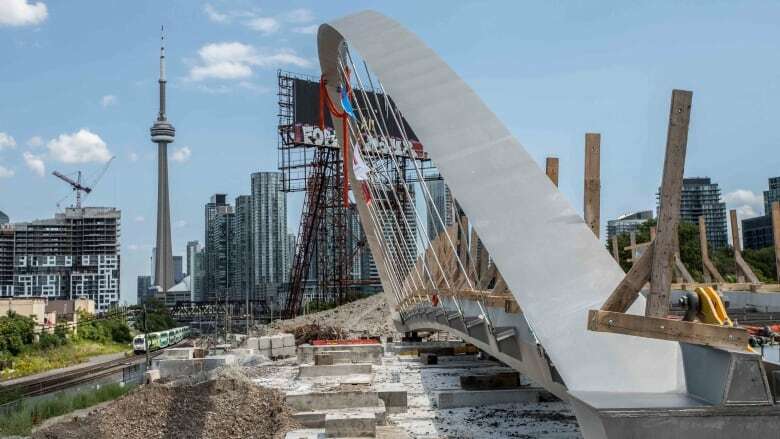 The bridge, which will connect Stanley Park on the north to Fort York on the south, was shot down by city council in 2011, with the sticking point being the bridge's estimated $26-million price tag. When it was revived, it was said to cost about $18 million. Coun. 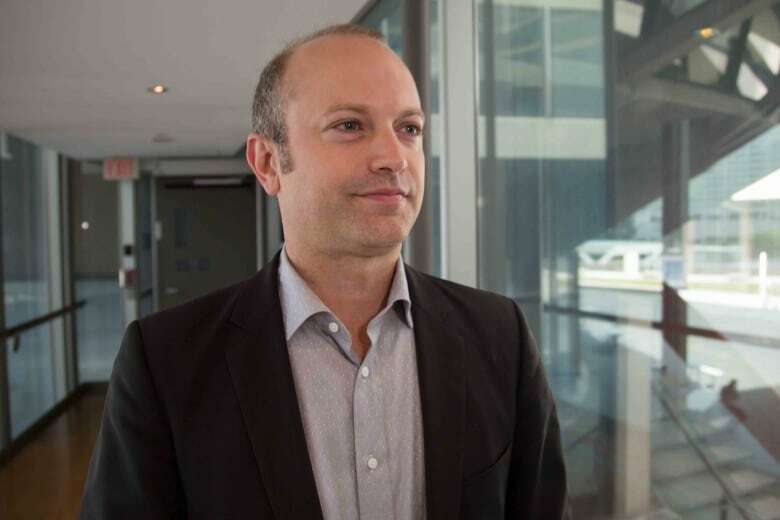 Mike Layton, who represents Trinity-Spadina in city council, said the bridge was something residents had to fight for. "We, as a community, had to push back against the previous administration, Mayor Ford at the time. We had to push back and say, 'No, we're going to build,'" he told CBC Toronto. "We need this piece of infrastructure. The community has grown enormously in the last decade. Let's make sure that it's a livable space for people." Some say the bridge is sorely needed as the area is divided by two sets of train tracks. The only way to get around them is to go up to Strahan Avenue to the west or Bathurst Street to the east. When the Garrison Crossing bridge is installed, it will provide greater pedestrian access to some of the area's green spaces. One of the largest cranes in the world was brought in from California for the job. 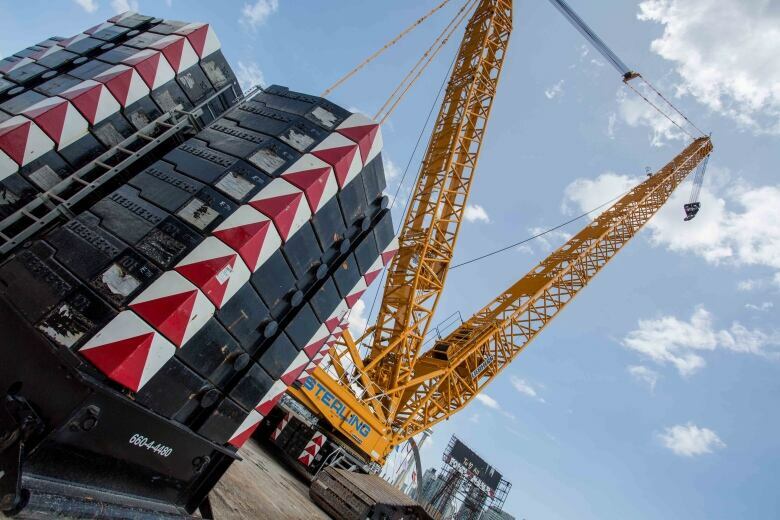 The heavy-duty crane will hoist the 130-tonne stainless steel structure and put it into place. It was so big that another crane had to be used to install it. Many people who live in the area say they are looking forward to the bridge and having better access to Fort York and the waterfront. "Having the pedestrian bridge right there will be a lot easier," local resident Nathan Young told CBC Toronto. "I think it's going to be fantastic." The bridge has also won over some, like John Cerpnjak, who plan to move into one of several new condos that are expected to spring up in the area in the next few years. "I know when I'm living here, I definitely plan on cutting across to get closer to the lakeshore," he said. "I think it will be great for the community. I think it's nice that the city is doing it to connect everyone together." 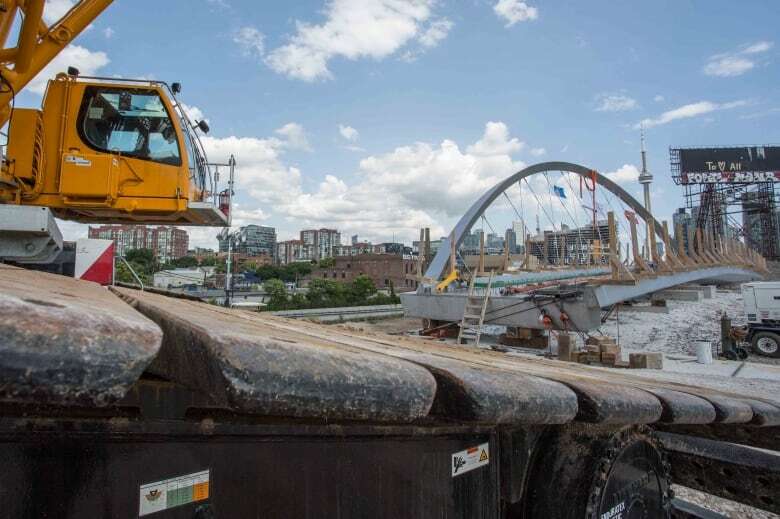 A second Garrison Crossing bridge, identical to the one being installed, will be brought into the area later this year over the south track leading into Fort York. The budget for the bridges is just shy of $20 million, and the bridges are said to be coming under budget so far. The bridges are expected to be accessible for pedestrians sometime in the fall and, by spring there could also be some new parks in the area.